This may be the best book I’ve read all year, so spot-on honest and hopeful about our world. 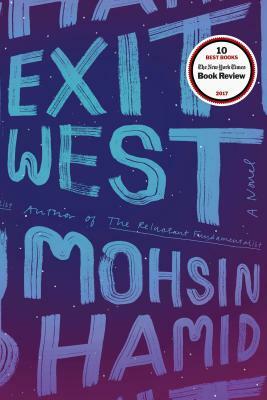 The novel follows Saeed and Nadia from their unnamed “city teetering on the abyss” through their migration to London and beyond. As the author explains in an interview, he relaxes the laws of physics in one specific way to accomplish their travel. The use of this technique and lack of geographical grounding add to the almost mythical storytelling. But this is not a fairy tale; the novel tackles combating the racism against immigrants and building cooperative new communities. It is also a love story, a story about hope in a very dark time. Don’t miss this one.